You may not even be aware of it but your professional energy may be burdened by past business/employment relationships with colleagues, co-workers, bosses, and family where you may harbor old grudges and unresolved issues. Attachments to other people, material things, or the distraction of “social media” in your life can deplete your professional energy. An accumulation of negative energies from your mental, emotional, physical and spiritual field around you and your office environment can become psychically toxic repositories of useless and disruptive energy connections. 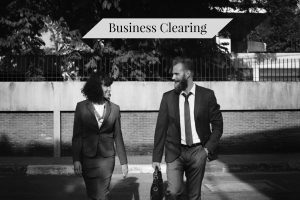 A Business Clearing can remove undesirable energy connections between you and other people such as co-workers, employers, and colleagues as well as clear up the energy around your business space that can often become stagnant or even filled with the old paradigm energies of fear, greed, anger and frustrations. A Business Clearing is beneficial to finally severing ties with the negative relationships from your past that continue to draw on your energy today – disrupting your current relationships. As well, such a clearing can diminish or erase old paradigm energies that are still prohibiting your business activities from moving into a new age of consciousness that is Heart-Centered and Evolving the Planet instead of destroying it. We all have times in our lives when things impact our energy and sometimes even on a daily basis. When life happens and we get caught up in it, our fears tend to get triggered and we may not even realize it and we go on autopilot where we are reacting to life instead of responding with consciousness more related to a new age. Once we go on autopilot we don’t have any control over our reactions and this will trigger our fears. Although we are never in complete control of everything that seems to happen around us we can be in charge of our responses – except when they are automatic responses – meaning we need to be present and aware of our energy and our fears. We need to make a choice to not let our fears over take our life. However it isn’t always easy to see how our energy – or the energy of others – is creating more fear in our lives and our work. Sometimes we don’t realize what is happening until we sit in reflection and examine what has been going on in our lives. If we learn how to keep our energy clear we wouldn’t get slammed nor react to life: we would respond with fuller consciousness. We would know when life is happening and determine whether it is our own energy or the energy of another that is impacting us. Therefore we can make different conscious choices on what the next move is to make us feel better. A clearing, a business clearing even, allows us to start anew and change the old cords, patterns, and stories that have become outdated from our childhood so that we can truly rebuild our foundations and create stronger, more conscious ones. Such a clearing can uncover how your limiting beliefs/habits/stories are holding you back and keeping you stuck. Reviewing these go a long way in understanding how you cope with life. Becoming aware of your reactions and responses to others helps you determine what responsibility you have – or are sharing – with your energy: are you blaming others, making judgments, or needing to be ‘right’ to satisfy your ego? Are your emotions hijacking you? What are your stress triggers? There are so many questions that will help you understand what is influencing your energy. Once you determine what is influencing you your consciousness will assist you in becoming even more aware how you are coping and what is affecting your energy. However, if you are always shifting the responsibility to something outside of you, please know that this is your Ego and you are being misled: you need to accept responsibility for your life and energy. Everything always comes from within you. Have you ever walked into a room and felt like something was wrong? Perhaps you felt the air was thick, as if you could almost feel an argument that occurred there many hours earlier? Do you sometimes walk into work and it feels ‘off?’ The workplace feels like a place where you start to feel anxious and can’t wait to leave? What about those around you? Do you sense certain people in your work environment are draining your energy? What about the environment of your work, like the financial industry – does it feel positive or is it exhausting due to the economic times? Along with financial considerations, consider how our business environments can hold other negative energies – even negative energies that are related to things that may have been building for quite some time. Everyone who works in your office will impact your energy as we all have ‘things’ going on that impact us individually. Even if you work from a home business you are still influenced by everything occurring outside you and even your home realm. Since we live in a digital age and have access 24/7 to media that is filled with fear and we also have the addiction to social media that reports constantly what people are doing and how they are feeling – our world dictates to us how to feel and our world also influences how we respond at every given moment. Energy that is full of emotion and impacts the way we feel and think can compound even the difficult financial situations that can be part of our business experience and the energy of our emotions can create a lot of anxiety both individually and wherever we work. We may be contributing to the buildup of negative energy by not being able to let go of our daily stressors so doesn’t it seem important to clear and balance our own energy on a daily basis? People are like sponges. As each sponge can hold only so much water and then reaches a point of saturation, every person can hold only so much of negative energy or thoughts. After the saturation point is reached the excess energy must flow somewhere. Where does the energy go? If you would like to schedule a Business Clearing contact me. If you would like more information about Business Clearings check out this page with Ayrial.com. This entry was posted in Blog and tagged Business Clearing, Clearing and Healing Techniques, clearing energy, energy clearing, Intuitive Counseling, intuitive counselor, Laurie Huston. Bookmark the permalink.